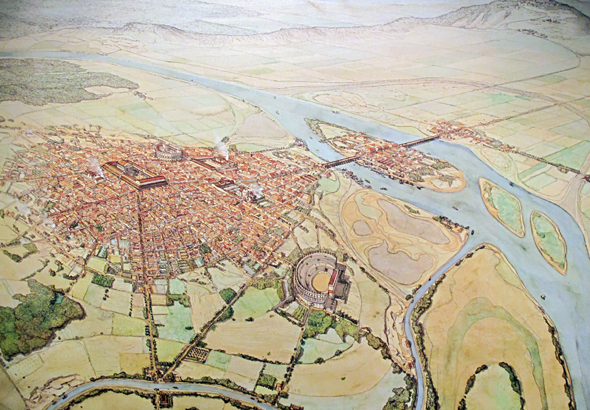 It is not easy finding the footprints of the Roman city of Lutetia beneath a Paris that is jam-packed with Medieval, Gothic, Renaissance and modern architecture. And with only five days to take in just some of what Paris has to offer, I was short of time to find them. 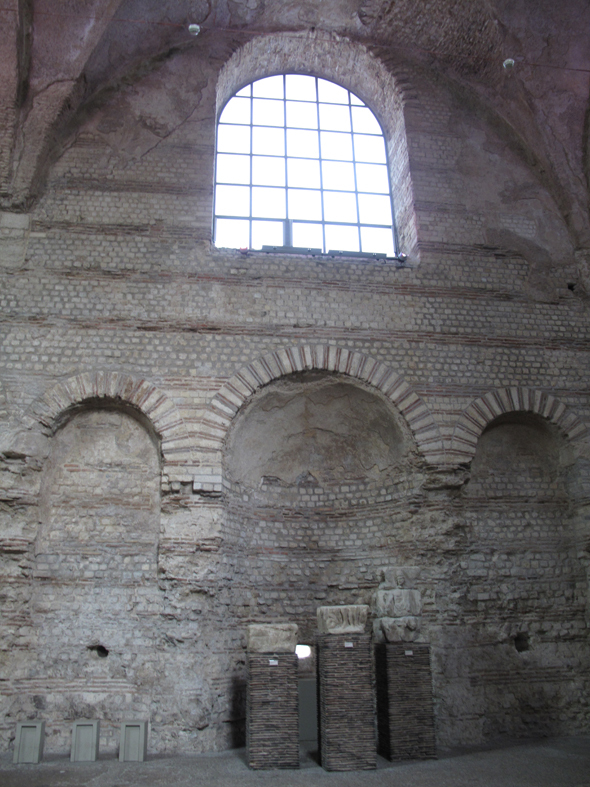 But Fortuna smiled on me and I discovered three main Roman sites within a few blocks of my hotel in the Latin Quarter. Crypte Archeologique du Parvis de Notre Dame: Beneath the cathedral on Île de la Cité lies this museum displaying recent archaeological finds of early Paris, including some of the Roman ramparts. I quickly abandoned the Sunday morning crush of Notre Dame above and was rewarded with a quiet, modern museum and an excellent exhibit below. Thermes de Cluny: Across a small square from the Sorbonne, the walls of the Roman baths survive in the Museum of the Middle Ages, Musée Cluny. 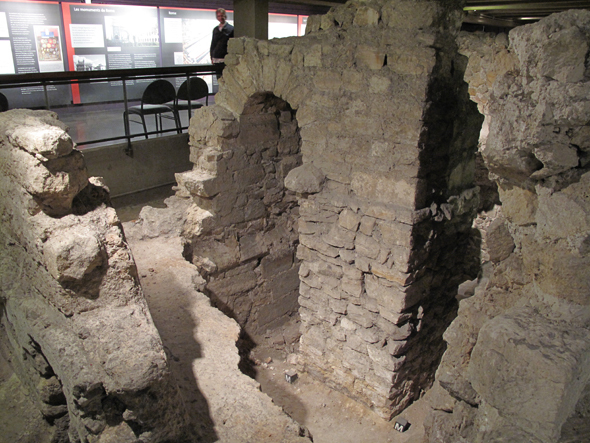 They were used as part of the structure housing the Cluny Abbots built in the thirteenth century. There are also statues and mosaics from the baths on display here. Les Arènes de Lutèce: This amphitheatre dating from the 1st century once held 15,000 spectators. 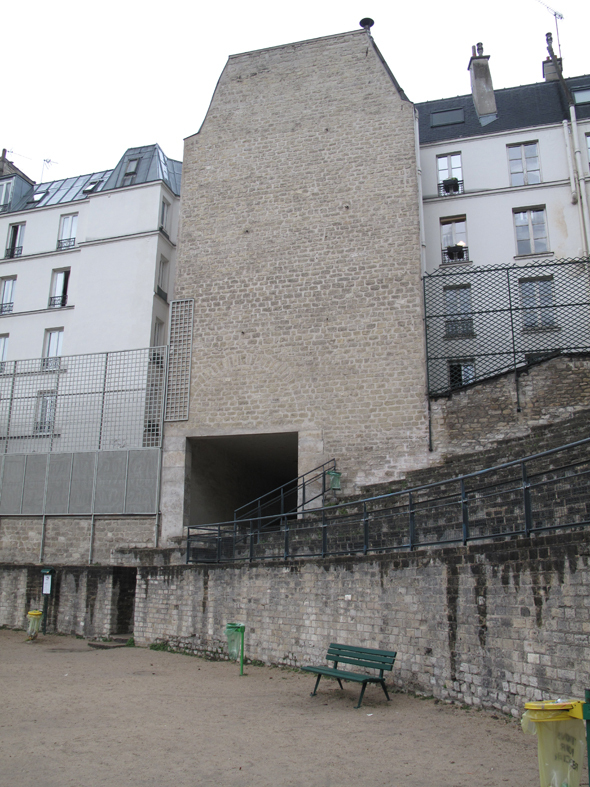 Today it is situated in a park tucked in a side street off Rue Monge and is again a site for entertainment but on a much smaller scale.